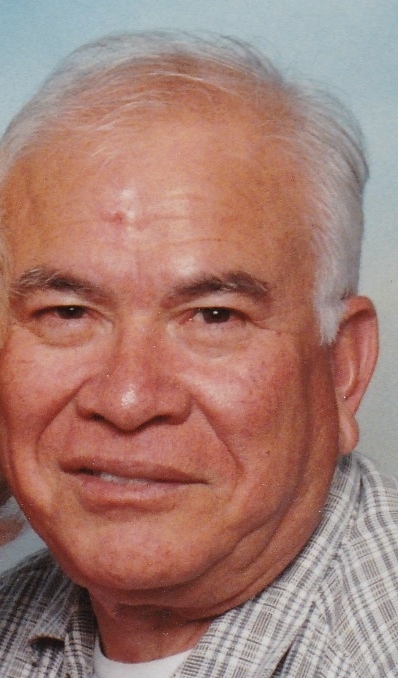 Memorial Service for Antonio “Tony” Garza Gonzalez, 80, will be at 4 p.m. Sunday, November 4, 2018, at the Kingdom Hall of Jehovah’s Witnesses, Enid. Tony was born May 10, 1938. He was born in Jones Prairie, Texas, to Jose & Paula Gonzalez. Tony passed away on October 18, 2018. He is survived by his wife, Iola, of the home. He was one of 5 children, with only 1 surviving sister, Marcella of Corpus Christi, TX. Children: Ernie, Andrew, Connie, Anthony, and Raquel, all of California, Step Children: Dennis Jordan of Garfield, AR; Lisa Sadler, Joe Jordan & Dorothy Neahring, all of Enid. He had 6 Grandchildren & 7 Step-Grandchildren; 13 Great grandchildren & 3 Step-Great Grandchildren. He worked & retired from the US Post Office as an Electronics Technician He started studying the Bible with Jehovah’s Witnesses in approximately 1971. He loved the field ministry & studying the Bible with people. He always set a good example for his family in being regular in the field ministry & meetings. He was an elder for many years & a pioneer. Tony married his wife, Iola in 2005. They loved to travel and garden together. His favorite color was green, maybe because he loved to garden so much. Not only did he spend many years cultivating his fruits & vegetables, he spent many years cultivating & teaching Bible truths to others in the ministry. After retirement from the Post Office he was able to spend more time in the ministry as a full time minister. He rarely let a week go by without being in the ministry. He set a very good example for his family & others by being regular at the meetings.